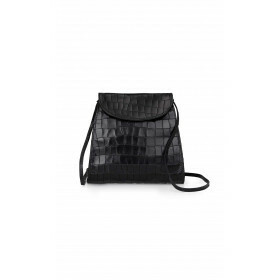 DORIN FRANKFURT's "Trap" bag has a slim envelope shaped profile that we like for busy days or evenings out. 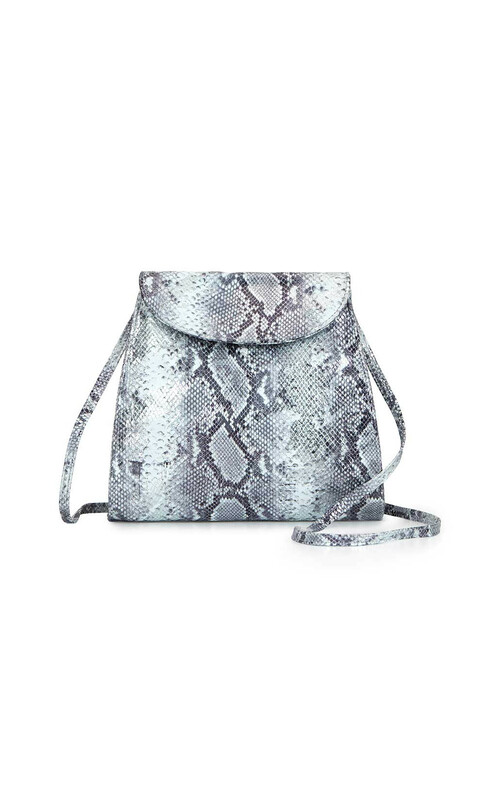 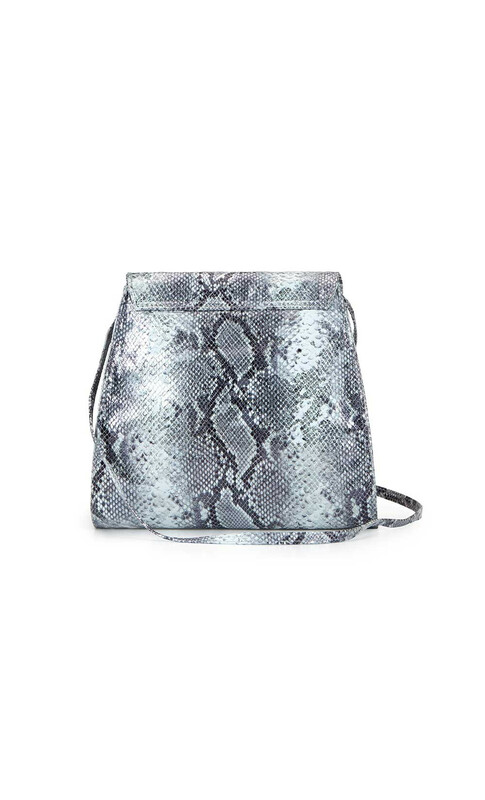 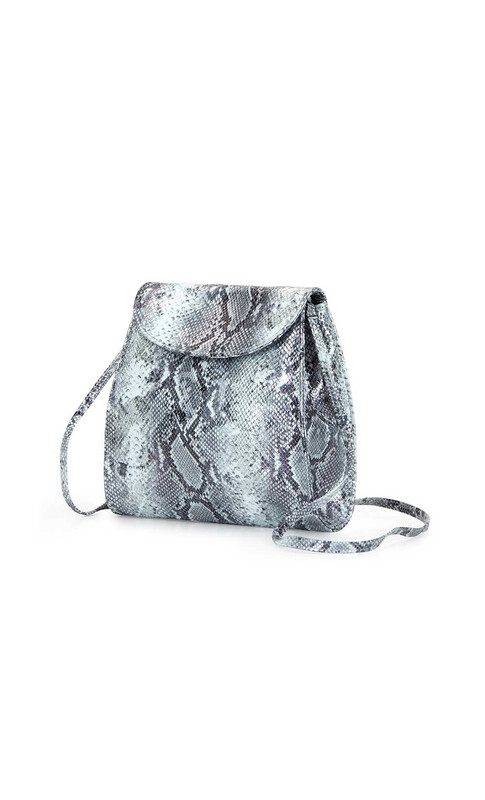 It's crafted from snake-effect leather with a detachable strap that gives you the option to wear it cross-body on the shoulder or carry it as a clutch. 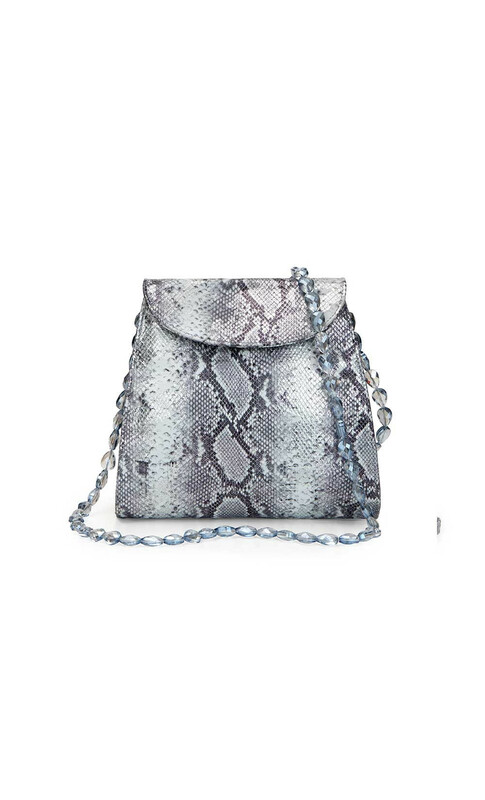 SHOWN WITH A DETACHABLE SERARATE SWAROVSKI HANDLE.